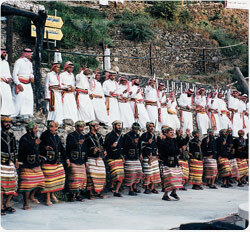 A variety of institutions have been established throughout the Kingdom to preserve Saudi Arabia’s cultural heritage. One of the largest is the Department of Culture at the Ministry of Culture and Information, which sponsors a wide range of cultural programs, including literary and drama clubs, folklore classes, library events, arts and crafts as well as science projects. These clubs cover a range of cultural activities. In the drama clubs, for example, participants engage in writing competitions and performances as part of a team. Other clubs offer Saudis the opportunity to develop various artistic talents. The Department of Culture regularly sponsors exhibitions, literary readings and symposia at its regional offices as well as its Riyadh headquarters. It also sponsors Saudis to participate in international art and cultural events, including poetry and essay competitions as well as exhibits of calligraphy and artwork. The Saudi Arabian Society for Culture and Arts, founded in 1972, sponsors Saudi artists and provides ways for new talents to develop and display their art. The society has established a library and information center, as well as the Kingdom’s first cultural center, located in Riyadh. Other institutions that promote culture include the King Fahd Library in Riyadh, which offers one of the largest collections of rare manuscripts on Arabic and Islamic literature, and is a premier research facility in the Middle East; and the King Faisal Foundation, whose annual King Faisal International Prizes includes one for Arabic literature. Many King Faisal Prize laureates have gone on to receive other international awards, including the Nobel Prize. The Department of Museums and Antiquities was established in 1974. Today, there are major museums in each of the Kingdom’s 13 provinces, as well many small privately owned ones throughout the country. Saudi Arabia’s largest museum is the National Museum in Riyadh, which opened in 1999 to celebrate the centennial of the taking of the Masmak Fortress by the young Abdulaziz, an event that led to the founding of the modern Saudi state. 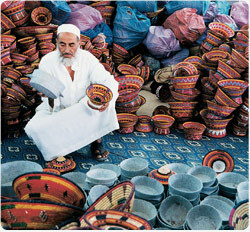 There are also private museums, such as the Humane Heritage Museum in Jeddah.